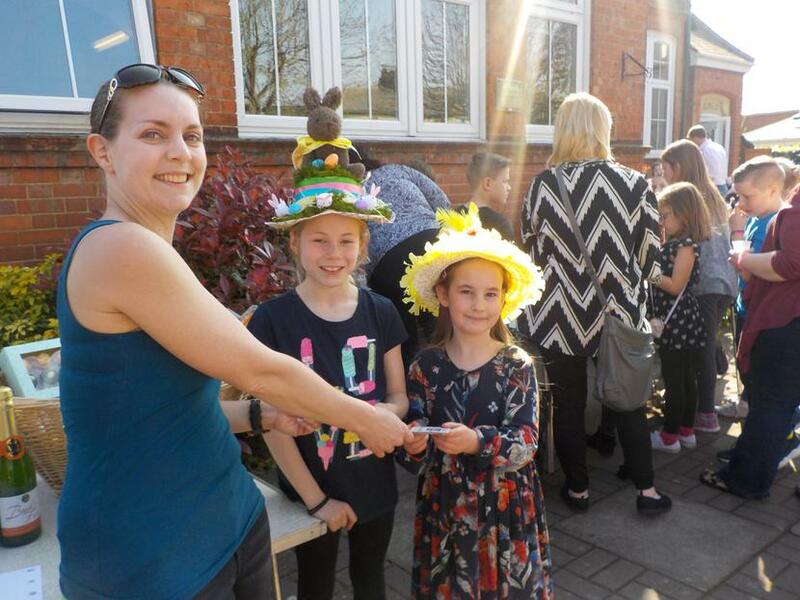 On Friday 7th April, we were blessed with the most glorious weather which enabled the children, parents and their families to enjoy all the wonderful Easter stalls provided by the PTA and assisted by 3 Year 6 'Easter Bunnies'! Earlier in the morning the Governors had come to judge the Easter Bonnet parade and announced the winners at the opening of the Fair; they were presented with book vouchers from one of our governors, Mrs Watson. Mrs Watson with our Infant and Junior Easter Bonnet winners. Take a look at the photographs from a fabulous afternoon full of fun!